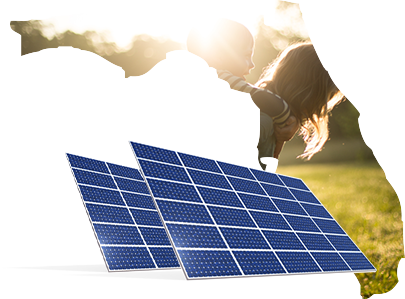 Join the 33,000 homes going solar in the Sunshine State. 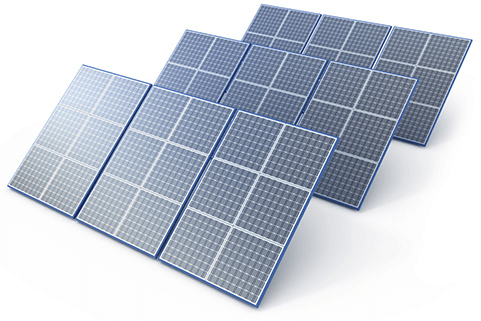 Are you looking for a commercial or residential solar solution? Florida gets a lot of sun, and solar energy production is finally starting to take advantage. In 2015 alone, solar installation grew by a whopping 90 percent (compared to 2014). And by 2020, Florida hopes to install 17 times more solar capacity than the previous five years combined—2,089 megawatts. So, even though Florida ranks toward the middle of the pack in terms of overall solar initiatives and policy, the Sunshine State will be harnessing a lot more rays in the coming years. Electric bills in Florida average $123 a month, which breaks down to roughly 11 cents per kilowatt hour. Even though the average solar panel installation costs somewhere between $11,200 to $14,400, it still costs less for most homeowners to install a home solar panel system than remain dependent on electricity from the grid. When you consider that photovoltaic cells are 66 percent less expensive than they were back in 2010, it’s even more cost effective to buy solar panels for your home. Getting a quote is the best way to determine how much a solar installation will cost, and how much you can save in the long-run with solar energy. To get an idea right away, use Solar Power Authority’s cost calculator to calculate your energy savings. In 2016, Floridians who buy solar panels can get 30 percent back on their investment in the form of tax credits. It’s important to note, however, that this incentive is only available to those who own their solar panels and not Floridians who lease or finance their home solar panel system. For solar panel owners, federal tax credits can save you thousands of dollars come tax season. Florida, like other states, is home to a number of utility companies that offer solar energy incentives. Browse Florida utility and tax incentives using your zip code to see if you’re eligible to save more on solar energy. Florida is a net-meter-friendly state. When your solar panels produce more energy than you consume, your utility company will pay you money for the excess energy produced. As a homeowner, you’re eligible for this incentive if you own your solar panels. But don’t worry if you plan on leasing or financing your system, forward-looking solar companies like SunPower also offer rebates for producing excess power. One company stands out in Florida: SunPower. If you’re looking for a company that prioritizes solar innovation, SunPower is it. For 30 years, the company has been a consistent innovator, filing for 600 solar-related patents and developing the first solar-powered plane—the Solar Impulse 2. Even better, SunPower’s technologically-advanced photovoltaic cells can produce 55 percent more energy than most solar panels, giving their customers more energy for less. Based in Silicon Valley, California, SunPower is a company that leads the way in solar all over the U.S., including Florida. We just mentioned how Florida is a net-metering state, so you can make money on excess solar power. However, it has a few negative aspects to solar legislation. Florida has a ban on solar power purchase agreements (solar PPA). Solar PPAs allow homeowners to rent solar panels and only pay a reduced rate for how much electricity your system generates. Energy savings are typically between 10 and 30 percent, which is a huge positive for choosing a PPA. Advocates in Florida, are currently working to get this ban overturned. However, for now, Florida is one of the five states to ban solar PPAs. Less promising still is the total absence of renewable energy targets in Florida. While other sunny states like California and New Mexico are planning for a future free of fossil fuels and full of renewable-energy savings, Florida has yet to put forth any targets to reduce its carbon footprint. As solar and wind power grow, chances are that the state of Florida will have to get its act together in order to keep up with its savings-conscious residents. Florida is home to more than 456 solar companies that employ around 6,560 people. Florida installed 41 megawatts of solar electric capacity in 2015, ranking 17th in the U.S.
Over the past year, installed solar capacity has increased by 90 percent in Florida. $105 million was invested in solar installations in Florida in 2015. Florida ranks 14th in the nation in installed solar capacity. Tap into news about the organization that regulates solar power in Florida. Learn about how upcoming bills and how new laws can affect your solar savings. Learn about state-sponsored initiatives surrounding solar. See how this group is working with the state to achieve greener living. Learn about Florida solar power incentives that benefit specific zip codes. Explore energy trends in America, how solar and renewable resources can power the nation more efficiently, and more on this government site. Ready to save with solar?